This White Chocolate Peppermint Collagen Protein Bar recipe is both Paleo and Autoimmune Protocol (AIP) compliant. 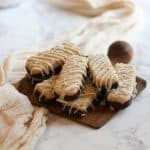 These protein bars are creamy, full of flavor, and are truly a healthy addition to your holiday breakfast or snack routine. Grab the recipe below. As I mentioned when I shared the recipe for my Pumpkin Snickerdoodle Protein Bars, this is one of four seasonal flavors I’ll be sharing with you from now until Christmas. 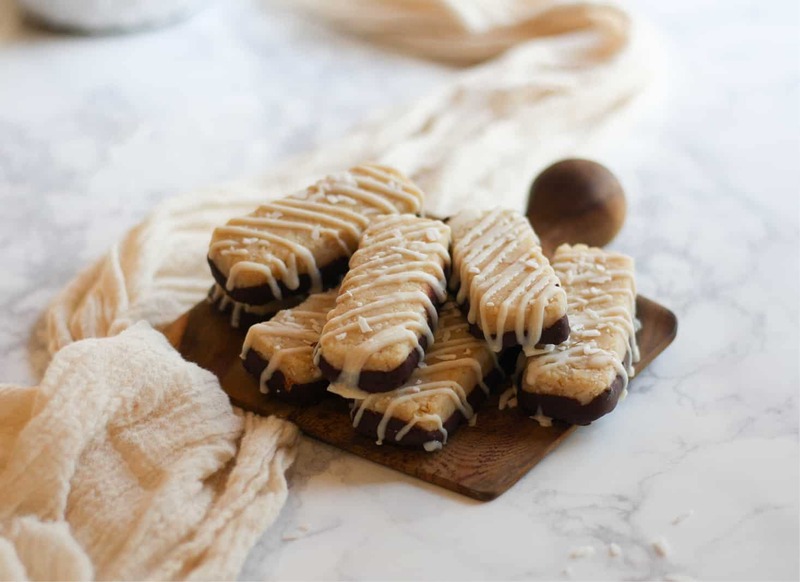 This White Chocolate Peppermint Protein Bar recipe, in addition to the Pumpkin Snickerdoodle flavor, will also be accompanied by Gingerbread and Apple Pie. You won’t want to miss them! The Pumpkin Snickerdoodle is already getting rave reviews on Instagram, and I don’t expect the others will be any different. Let’s look at the ingredients in this White Chocolate Peppermint Protein Bar recipe. 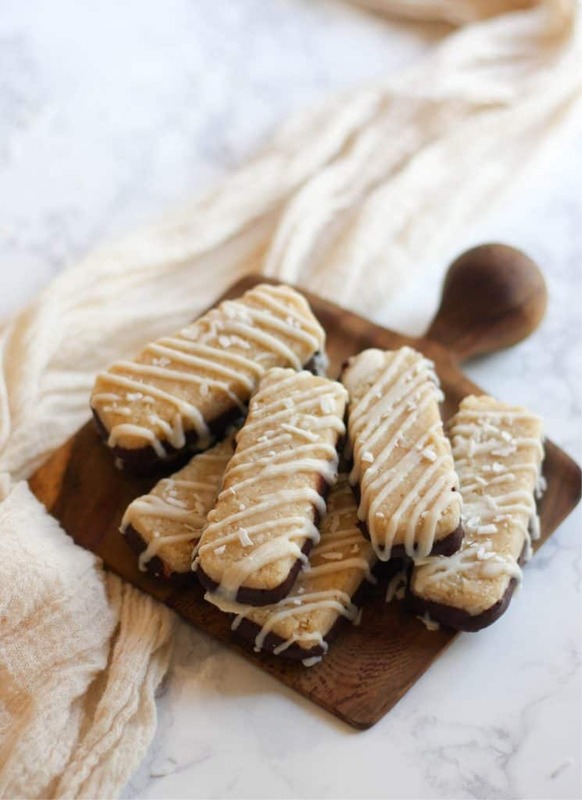 In this recipe, the combination of collagen protein, coconut butter, coconut cream, and real peppermint essential oil makes a seriously delicious holiday protein bar. 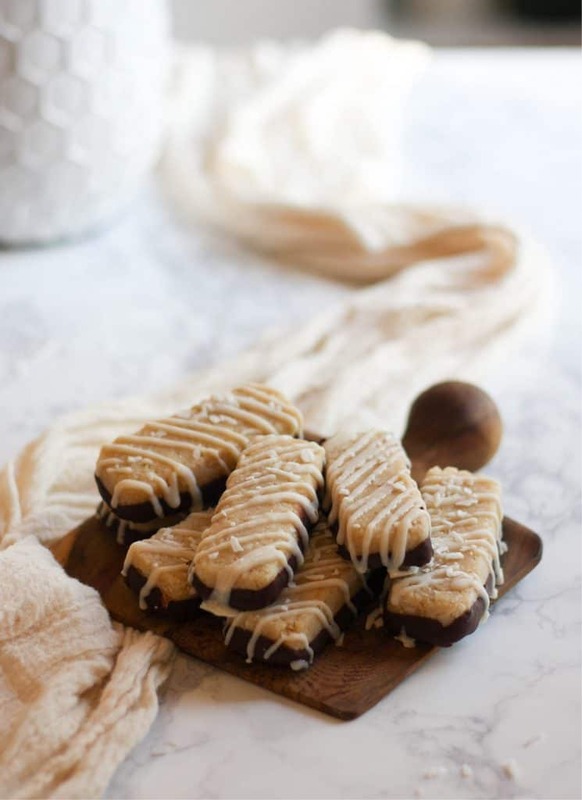 Just like my other collagen protein bar recipes, these are so delicious, I swear they could pass as dessert. Although I was once an avid plant-based protein kinda girl, the protein powder I swear by these days is a form of protein called collagen hydrolysate, aka collagen peptides. Collagen is one of the most structural substances in your body, responsible for healthy tissue repair, joint flexibility, bone and skin renewal, and reducing inflammation. 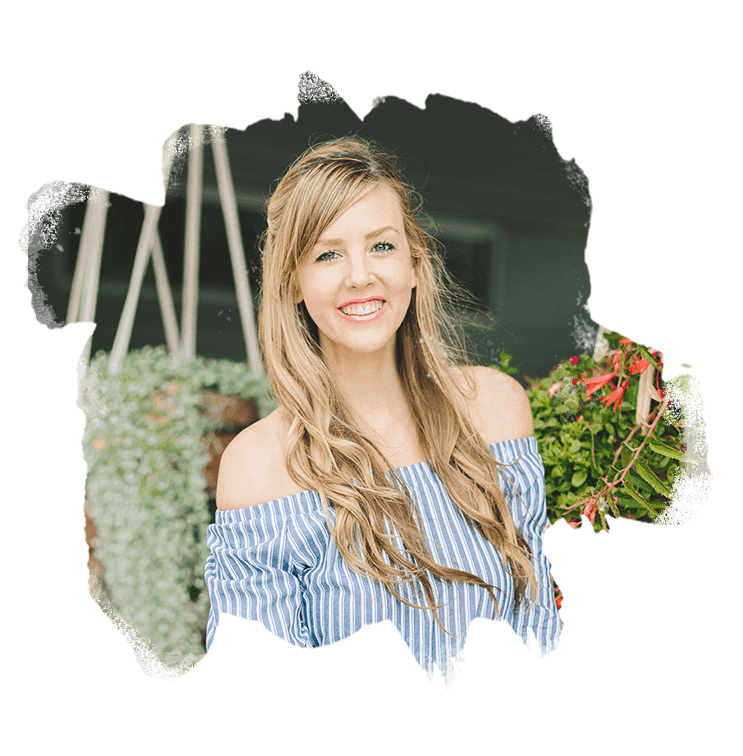 If one of your goals is to help put your autoimmune disease into remission, collagen is your golden ticket. I used the Collagen Protein from Perfect Supplements for this White Chocolate Peppermint Protein Bar recipe, but I’ve also tested it with Great Lakes and Vital Proteins. All work wonderfully, but the Perfect Supplements option is at a really great price! I also love their mission statement. Confession: I’m not a fan of coconut butter. It’s dry, crumbly, and not easy to snack on since it solidifies at room temp. It is however key to the success of this recipe, and once all the ingredients come together, the coconut butter is a non-issue for me. These bars are anything but dry or crumbly, and they’re a perfect snack. Pretty insane, right? Let’s move on. I’ve made these bars in so many combinations at this point: fresh berries, dried berries, pumpkin snickerdoodle, with apples and apple pie spice, and with gingerbread spices. These might just become a favorite, but I’m trying to stay unbiased. This White Chocolate Peppermint Protein Bar variation has a fresh and clean flavor with the peppermint essential oil, offset with a subtle sweetness from the chocolate icings and the maple syrup sweetener. NOTICE: no store bought white chocolate was used in the making of these bars! Most of the white chocolate found in grocery stores is full of icky ingredients; the kind of ingredients that make you feel the need to follow up the holiday season with a restrictive and equally icky diet. The ‘white chocolate drizzle’ shown in these photographs was created using the recipe below. It’s so easy – don’t skip this step! Full disclosure, I used 80% dark chocolate for dipping the bottoms of these protein bars, in place of the dark chocolate icing. If you tolerate chocolate without issue, I highly recommend using melted chocolate in place of the dark chocolate icing recipe listed below to make them really feel like a treat. Regardless of the chocolate option you choose (real dark chocolate or coconut oil ‘chocolate icing’), you won’t be disappointed. Mix all ingredients together by hand in a bowl. It’ll be easier to melt the coconut butter. I heat the glass jar in a sauce pan full of hot water. You could also microwave the jar if it’s glass. It may take a bit of stirring before the dough comes together. Form into 8 equal bars. I used this inexpensive silicon mold to make my bars all the same size. This is the trick to getting them to look really pretty as well! However, you can also use a greased glass baking sheet, or you can shape the bars by hand. Place the formed bars in freezer for about 10 minutes to set. Once they’re set, remove the bars from the silicon mold or the baking dish. At this point, you can choose if you’d like to make the chocolate icing and drizzle, (recipes below) or leave plain. Melt the coconut oil and stir in cacao powder (or carob powder for AIP) and maple syrup. Dip bottom half of each bar in the chocolate icing. Use a piping bag or a ziploc with a small hole cut in the tip to drizzle chocolate on top of the bars. Place bars on waxed paper in the refrigerator to set. NOTE: You can also melt half a bar of dark chocolate instead of making the Dark Chocolate Icing if you’re not following AIP. Mix together the melted coconut butter and melted coconut oil. Place bars on wire cooling rack. Use a piping bag or a ziploc with a small hole cut in the corner to drizzle on top of the bars. Sprinkle bars with shredded coconut for garnish (optional), and place in the fridge to set. The bars have the best texture at room temperature, but you can also store in the fridge for a longer shelf-life. Made these for the first time this morning and am having trouble getting the “chocolate” on the bottom to adhere to the bars. I’m following AIP so I used coconut oil, maple syrup and carob powder. After melting all three together, the consistency was chunky/grainy and did not stick well to the bottom. Your picture looks so beautiful, what is the trick? Did you use carob powder in your picture? I’m new to AIP cooking so a lot of these ingredients are new to me. Help! Thank you! I think a few things could have caused this. Sometimes I have troubles getting it to stick when they bars aren’t a good temperature. You could try freezing them so the warm carob “chocolate” hardens quickly. I also like to “double dip” them. So I’ll do one layer, let it harden, and then add another. If I’m feeling lazy, I just drizzle them with the carob icing instead of dipping. I mention in the icing section of the blog post that I use dairy free chocolate instead of the carob mix for the photos. Also, whether I’m using carob or cocoa powder, I always sift it! Makes it a lot easier to mix. Hope that helps! Carob powder can be rough! I always have the same problem with carob powder and melted coconut oil; I’ve never been able to get it to work. In my experience, it seems to work a lot better if the coconut oil is soft (room temperature) but not melted. I had to spend more effort stirring it, but I was able to make some delicious carob frosting that way! I agree, it is difficult to work with! I tolerate chocolate well, so I always take that route – it’s definitely easier. When I tested the recipe with carob powder, I had to double dip the base of the bars so get a thicker layer. I like to use a milk frother to combine it – that’s my quick tip! I’m going to make these bars. Question for you, coconut butter is to be mixed in it’s hard, crumbly state? I’ve made similar bars, but the recipe directions stated melting the coconut butter. Just wanted to ask, because melting the coconut butter versus using the coconut butter in it’s room temperature state will change the structure and set up of the bars. Thank you for the delicious recipe , can’t wait to try it.